You must be already using multiple sign-in feature for your Gmail or Google accounts. The same multiple sign-in feature is also available across all services like Outlook, Skydrive, Hotmail and Live accounts offered by Microsoft. You can easily manage your multiple accounts without signing out of your first account. 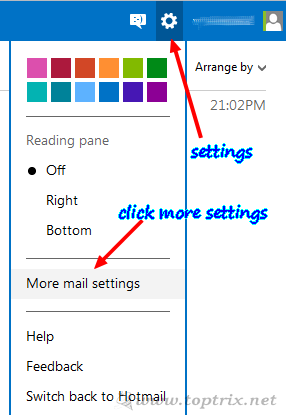 If you have more than one account for Outlook mail -previously known as live mail or hotmail- or if you have opened multiple Skydive accounts to get more cloud storage space, you can now easily switch between all your accounts without signing out of any account and get rid of the hassle of using multiple browsers and typing passwords. The process is super easy and you just have to link your accounts once. Select 'Accounts details' option under 'Managing your account' category. 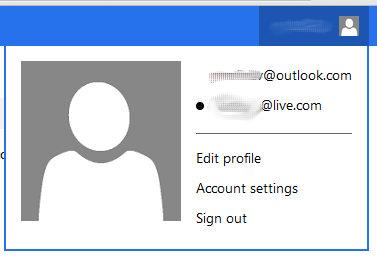 This will open 'accounts.live.com' where you can manage all your accounts, linking, linked accounts, profiles, names, privacy, passwords and everything about Microsoft accounts. Click on 'Permissions' and select 'Manage Linked accounts' option. Now click on the link 'Add linked account' available under your primary account name. A new linking form will open. Enter the password for your current account you have already signed in and then enter the details of second account you want to link. Enter the complete email address of the account instead of only ID and then password and click on 'Link' button. You will get the linking confirmation message about the two accounts with the account names. Now you can start using both accounts without signing in and out of your one account without using multiple browsers. To switch between two accounts, you can click on the profile image at the top right corner and easily switch by clicking on the second account name. If you do not wish to link two account for some reason, the unlinking procedure is also extremely easy. Go the the same pace Accouts >> Manage accounts >> Permissions >> Linked accounts >> and then click on 'Unlink'. A confirmation message with ask, validate it and you are done. Microsoft is launching more and more services. If you are a blogger or want more SkyDrive space or want different email address for work and personal use or for the any reason you want multiple accounts, this is the easy way to manage all those at one place. What you think? Please let me know. Join me or comment.